Mr. Haas was raised in Lakeland, Polk County, Florida. He attended Florida Southern College and graduated with a BS degree. He then attended the University of Florida Law School where he was distinguished as a member of the award-winning Moot Court Team, receiving the William C. Gaither Recognition for Best Oral Argument in the Moot Court Competition. He was also honored with seven book awards during his law school career, which recognize the highest course grade in the class. Prior to completion of his law school studies, Mr. Haas was commissioned as an Army Infantry Officer and rose to the rank of Captain as an Army aviator. Upon graduation from law school he transferred to the Judge Advocate General Corp of the U.S. Army. Mr. Haas entered private practice in Daytona Beach with Clifford B. Gosney and the Honorable R. Michael Hutchinson, now Senior Judge retired from the Seventh Judicial Circuit of Florida. The firm grew to have offices in Daytona Beach and Orlando, and became known as Gosney, Haas, Cameron and Parsons with the Honorable William A. Parsons, who now serves as a Circuit Judge for the Seventh Judicial Circuit of Florida. Mr. Haas then founded the law firm of Haas, Boehm & Brown, P.A. with offices in Daytona Beach and Orlando. 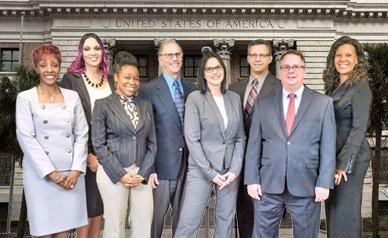 That firm grew to be a 55-lawyer, statewide insurance defense firm, handling the defense of civil cases throughout Central and North Florida, with offices in Ft. Myers, Cocoa, St. Petersburg, Tampa, Lakeland, Orlando, Ocala, Tallahassee, and Daytona Beach. During this period of time, Mr. Haas focused his practice on the defense of personal and commercial litigation, including the defense of bad faith claims. When the firm split, he relocated to Tampa and has been practicing throughout West Central Florida since that time. During the early years on the East Coast of Florida, Mr. Haas’ practice was primarily focused in areas of workers’ compensation, products liability, arson and fraud, as well as the defense of other property related claims. This grew into a particular interest in property related fields, and he became one of the founding members of the Florida Advisory Committee on Arson Prevention, otherwise known as FACAP. The firm was retained by Lowe’s Companies at the corporate level for the defense of products liability cases and was national coordinating counsel for Lowe’s Companies in fire retardant plywood roof sheeting cases throughout the country, including the defense of class actions related to that product. Later the firm became involved with Lowe’s Companies in more recent pressure treated wood litigation in the defense of individual law suits and class actions nationwide with claims of arsenic related poisoning due to the pressure treatment formulas utilized in wood products sold by Lowe’s Companies. Through the representation of personal lines insurers, Mr. Haas became involved in the defense of Bad Faith litigation primarily through the high volume representation of the State Farm Family of companies, including both Fire and Casualty, as well as State Farm Automobile Insurance Company, and through the representation of GEICO and its insurers. Through the personal lines litigation experience, he grew into a bad faith litigator. Presently the litigation of personal and commercial lines bad faith and personal injury/catastrophic injury cases predominate his defense practice. Mr. Haas has tried more than 100 jury trials as well as many non-jury cases involving the defense of self-insureds, insurers and their insurers predominately. Additionally, he has maintained, and is proficient in, the litigation of domestic relations matters, which arose from his caring for many abandoned children as a licensed foster and crisis care parent. He also serves as a presenter and instructor for the Florida Defense Lawyers Association at its annual Trial Skills Excellence in Advocacy Workshop. Auto Coverage & Good Faith/Bad Faith Claims Handling Haas Lewis DiFiore & Amos, P.A. Medical/Legal & Property Seminar Haas, Lewis, DiFiore & Amos, P.A. Legal Causation From Dollar One to Catastrophic Injury Haas, Dutton, Blackburn, Lewis & Wainoris, P.L. Bad Faith – Avoiding the “Set-Up” Rimkus Consulting Group, Inc.